Jahkil Jackson of Chicago, Illinois is one busy young man. He's a student, a tap dancer, a basketball player, an actor, a model, and he's a social entrepreneur who is on a mission to help the homeless in Chicago and throughout the world. 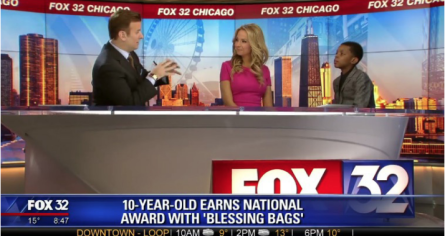 At his young age of 10, he's already given out over 6,000 Blessing Bags to those in need. 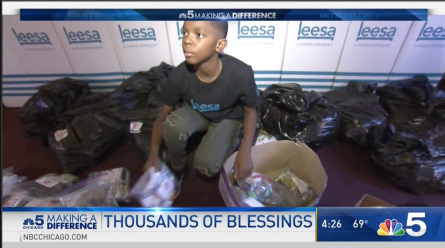 Blessing Bags are filled with basic items that homeless need to improve their lives.